I love cream eye shadows! 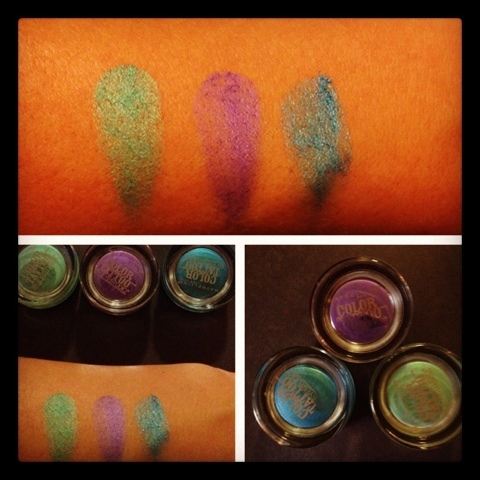 They can be used as an eye shadow base or as eye shadow. I prefer always packing a cream shadow with a powder shadow to secure and have it look the best but they are great to use alone in a pinch for shadow. I am trying these new Maybelline mousse feeling creams.. So we shall see how they work. They are nice and pigmented which gives a great effect on color! I like my shadows to be true to color and not fade and these seem to have that quality... I will be using these over the next couple days and seeing how the wear throughout the day and how my powder shadows work with them.